Craig Neely is Treasurer of Coca-Cola Bottling Company UNITED and has been employed by the company since 2004. 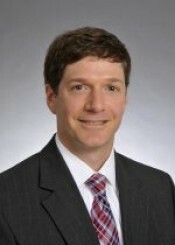 Craig is a Certified Public Account and previously worked in public accounting for Arthur Andersen and KPMG. He is a graduate of the University of Alabama. Craig currently serves as Treasurer-Elect of the Vestavia Hills City Schools Foundation and is past Chairman of the Board of Directors for Easter Seals of the Birmingham Area. Craig and his wife, Caroline, have two sons, Fletcher and Foxx, and live in Vestavia Hills, AL. Craig’s hobbies include attending his sons’ sporting events, golfing, camping, snow skiing and mountain biking.